Happy Canadian Thanksgiving! Feeling full from all those delicious meals?! 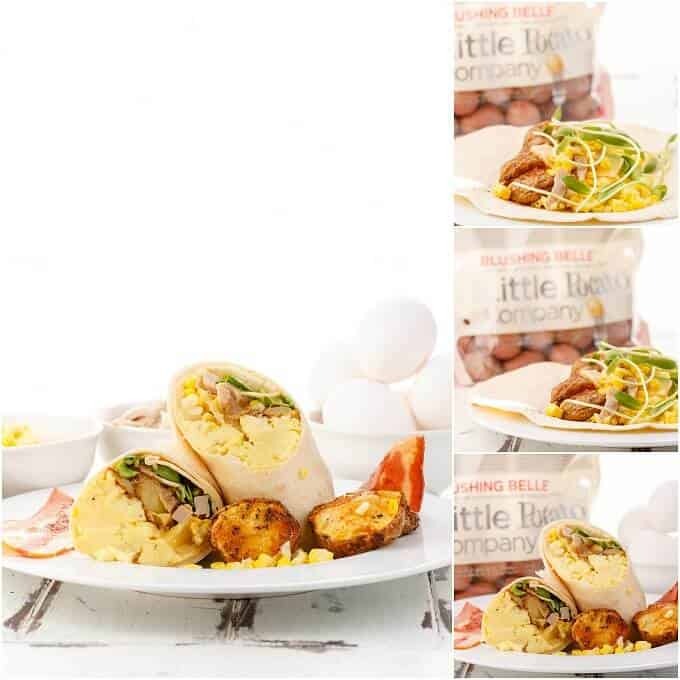 I’m here to remind you there will be leftovers 🙂 Give this Holiday Leftovers Breakfast Wrap a go: they are a great way to use up leftover Little Potato Company #Creamerpotatoes (if any do manage to hang around!) Be sure to enter the giveaway below to win one month’s worth of their potatoes! Birthdays, Thanksgiving, conference, Halloween, and more birthdays!! 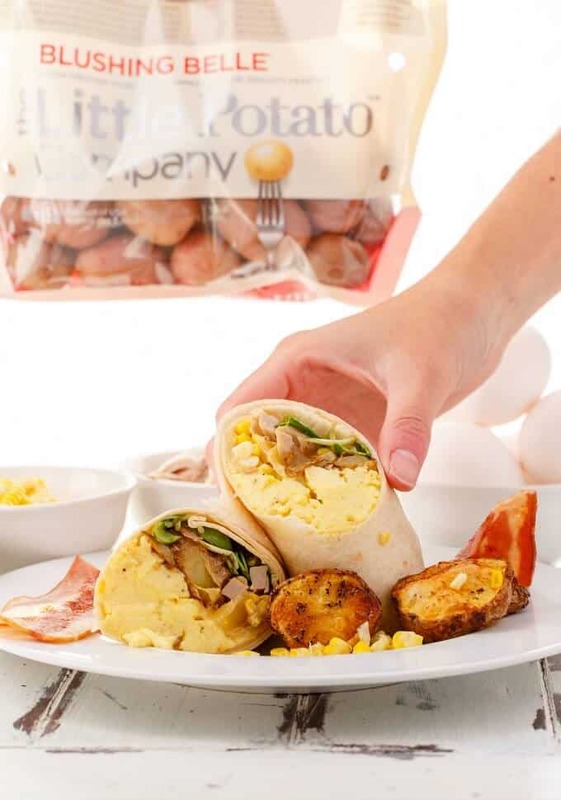 Today’s holiday leftovers breakfast wrap takes all the wonderful foods from Thanksgiving and makes one awesome breakfast! And I get it. Leftovers can be “boring,” but if you transform the ingredients into something completely new, you don’t feel like you are eating leftovers! I have so many leftover recipes on the blog (feel free to search!) and have to say, they are one of my favourite meals to create! You can do so much! Or keep it simple! 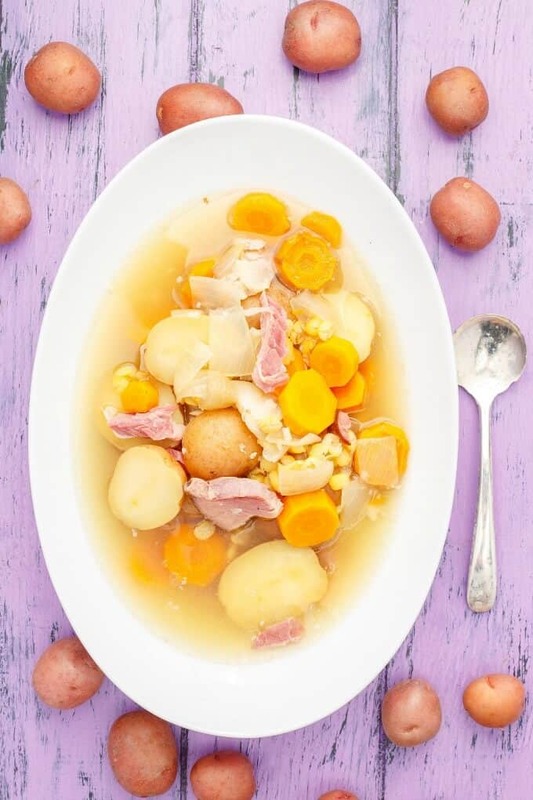 Especially when it comes to recipes using The Little Potato Company‘s Creamer Potatoes! Of course, this recipe is super simple to make even without leftover potatoes. I roasted some Blushing Belle at 425F for about 30 minutes, seasoned with some olive oil, salt, pepper, garlic powder, and paprika! My husband could not stop eating the potatoes as is so we were left with one wrap in the end, LOL. Note: if you don't have any leftover potatoes around (I know!) then you can roast 1.5 lbs Blushing Belle Creamer potatoes at 425F for 30 minutes or until fork tender. Combine potatoes with some oil, salt, pepper, garlic powder, and paprika for the ultimate flavour! Topping choices are endless! Salads, peas, gravy, cranberry sauce, you name it, you can add it! Just make sure to leave enough room to wrap them up! 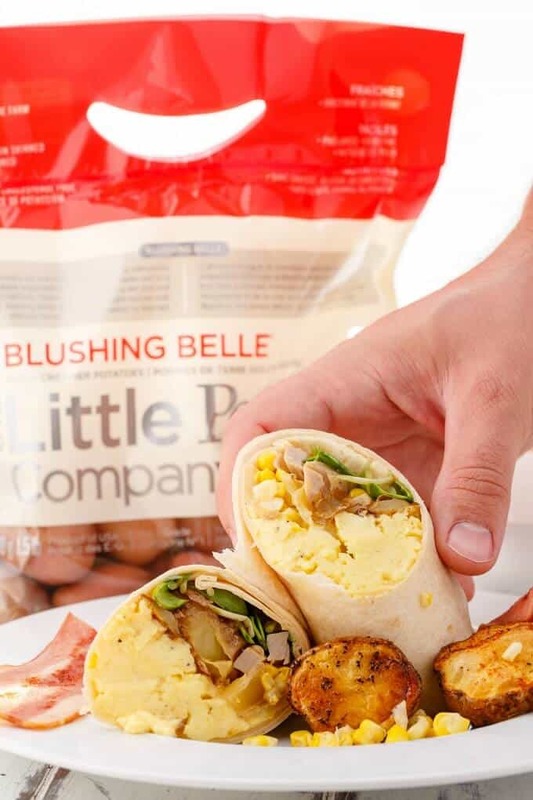 Make sure to reheat your leftover ingredients so they aren't cold in your wrap! This giveaway begins Sunday, October 8th 2017 at 12:00 AM EST. It will run until Sunday, October 22nd, 2017 11:59 PM EST. The prize is one month’s worth of free Little Potatoes from The Little Potato Company! The giveaway is open to residents of Canada and the US. Dig into this giveaway because you know you really want these potatoes! The winner will be notified by email and will have 48 hours to respond. If they do not come forward, I will redraw a name. The winner will be announced the week of October 23, 2017! I do a lot of stir frying with leftovers - everything in the skillet and maybe some rice that I've frozen (already cooked). might try to recipe. My wife loves cooking with the small potatoes. I tend to eat left-overs cold, straight out of the fridge. I'm not too fussy. Same!! My husband has to reheat them until they burn your tongue off, lol.